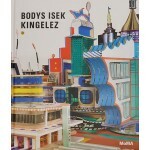 The visionary artist Bodys Isek Kingelez created utopian propositions for cities in a peaceful and prosperous tomorrow. 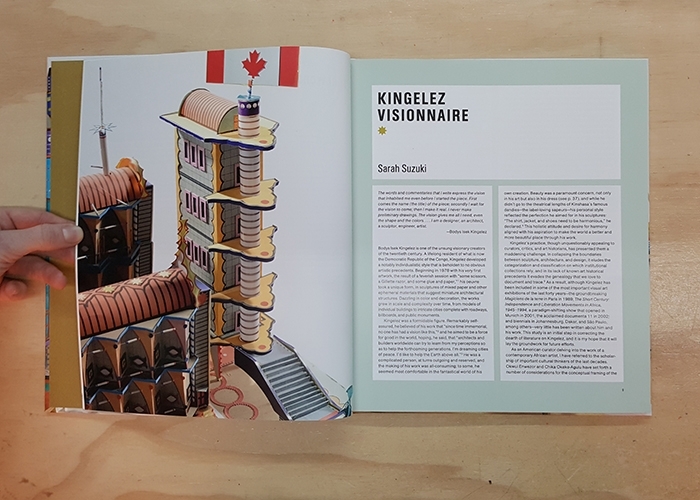 Born in the Belgian Congo in 1948, Kingelez came of age in a period of tremendous change, as his country evolved in the complex years following Independence. 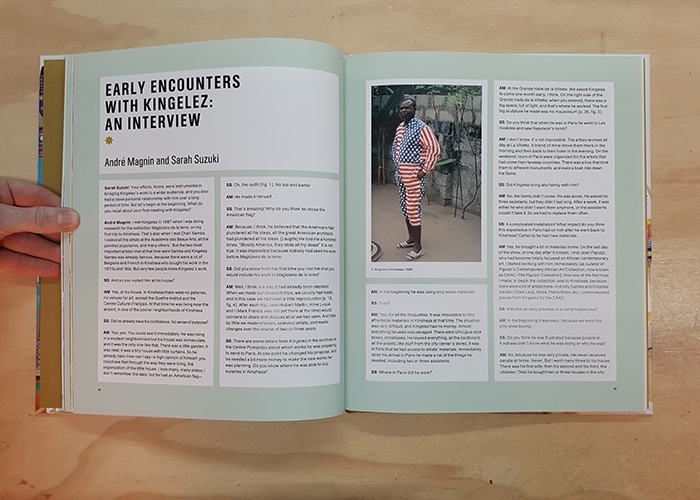 He made his first artworks in the late 1970s in Kinshasa, the capital of the newly renamed nation of Zaire, transforming modest materials—paper, cardboard, plastic, and commercial packaging—into dazzling and intricate sculptures. Inspired in large part by the life and architecture of the capital (where he lived until his death in 2015), his works depict civic buildings, public monuments, national pavilions, and skyscrapers, both singly and combined into fantastical and expansive cities. 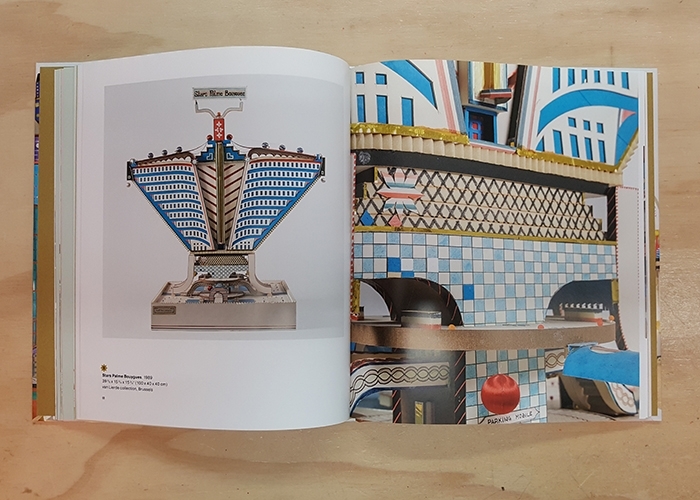 Kingelez gained international renown through his participation in the landmark 1989 exhibition Magiciens de la terre, at the Centre Pompidou, Paris, and his sculptures have since been shown around the world. 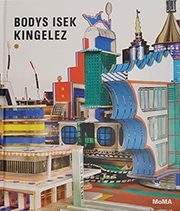 Published to accompany an exhibition at The Museum of Modern Art, New York—the first-ever full retrospective of Kingelez’s practice—this catalogue traces the span of the artist’s thirty-year career, from his rarely seen early works to the large-scale cities of his later decades. Featuring stunning new photography, this is the most comprehensive volume on the artist to date.